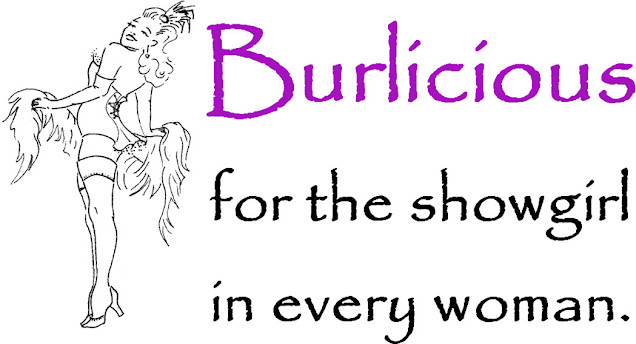 It is a key part of the Burlicious philosophy that nobody, but nobody, who comes to our class should ever feel judged. There are plenty of opportunities in the rest of life to feel inadequate, a bit rubbish, not up to some sort of impossible-to-achieve ideal - and we don't want an hour spent with Burlicious to be one of them. It's key to who we are and what we are doing that our lovely showgirls should feel good and enjoy themselves when they are dancing with us. That's why it is so deliciously, ineffably, liberatingly joyous when it is one of we Burlicious three who b*ggers up the routine. Last night it was me. In all fairness, of the three of us, it is always more likely than not that it will be me. It's a simple move. Sit at the side of the chair. Draw feet off floor - knees bent, heels near derriere. Straighten right leg to the ceiling, then left, then right... ideally in time with the slow, deliberate beats of the music. Then swivel on one's derriere to the left side of the chair, knees still in and feet still off floor, straightening the legs up as you go - left, right, left, right.... FAST. In an ideal world, one then arrives at the opposite side of the chair, right leg up, ready to lower it slowly to the floor. Unless you really can't catch the first beat accurately. And I couldn't. I just couldn't. So my legs were flapping up and down all over the place to their very own beat. I started late. I started early. Sometimes I started precisely on time... but I didn't really know how I had done it. And, yes, it's a tad frustrating. But more than that, it is genuinely hilarious to be so foxed by something so simple, over and over, and to be royally b*ggering it up in front of a troupe of women who laugh with you and not at you. I do love you, showgirls. I love it that you are so accepting when I say: "don't follow me on this bit. I don't know what I'm doing." It's such a good place to be and it's making me smile as I type this.